The trail to Quality Falls, being close to town, fairly short, relatively easy, and leading to an attractive waterfall with interesting geology makes it one of TRGG’s most visited sites. 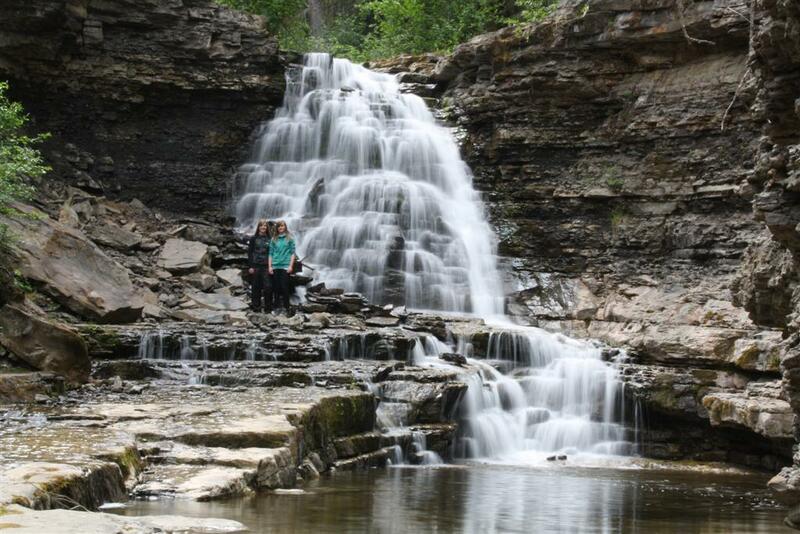 The rocks at Quality Falls are in the Kaskapau Formation and are about 95 million years old, from the early part of the Late Cretaceous Period. These rocks are overlain by sandstones and shales of successively younger ages. The Wapiti Formation is the youngest rock in the area at 75 million years old, and is exposed at the top of the Heritage Highway. What also makes the Quality Falls trail unique is the research done at this site by scientists David Toews and Darren Irwin from the University of British Columbia which led to the splitting of the Winter Wren into two species (Winter Wren and Pacific Wren). 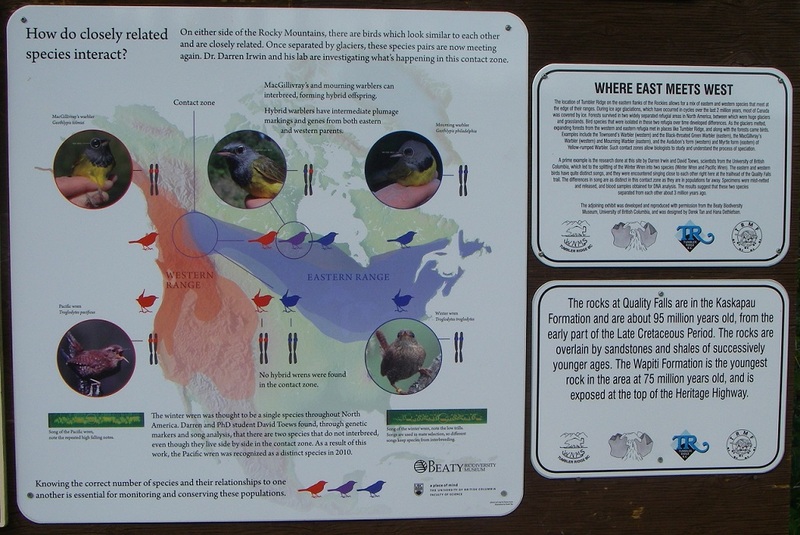 The eastern and western birds have quite distinct songs, and they were encountered singing close to each other right here at the trailhead of the Quality Falls trail. The differences in song are as distinct in this contact zone as they are in populations far away. Specimens were mist-netted and released, and blood samples obtained for mitochondrial DNA analysis. The results show that these two species separated from each other about 3 million years ago. The reason for this separation was the ice age glaciations, during which most of Canada was covered by ice.